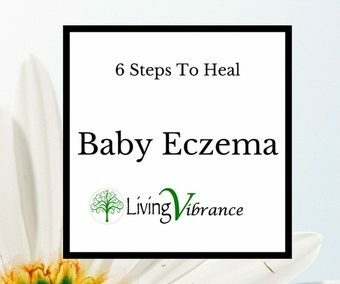 ​If you’re here, your little one has probably developed eczema and now you’re frantically searching the internet for what you can actually do to minimise and heal it! Fear not! You’ve come to the right place! Now, you may have read articles discussing cortisone creams, heat stimulated baby eczema as well as bathing techniques for your child, and whilst some of these are valid considerations; I find they are very reactive rather than proactive approaches. I’ve written this article to teach you what it is, how to actually get rid of it in the long term and treat the outbreaks short term. To do this, we’re going to work internally and target the drivers of baby eczema as well as externally, to minimise and clear off the outbreaks. So, without further adou, let’s jump in! Firstly, lets have a look at the symptoms of baby eczema. Typically eczema or atopic dermatitis is a red, hot, dry and itchy skin rash that, on babies, usually breaks out on the face, primarily the cheeks and chin. As children become older it has a tendency to diminish or move away from the face and further down the arms and often, later developing into hay fever and/or asthma. Before you read on though, please, please be sure that your baby actually does have eczema and not something else by going to a GP and getting a professional diagnosis. Where Baby Eczema Comes From. ​Although a family history of eczema has long been recognised as a driving factor, we also need to take into account that it is primarily an allergic response, which is what we mainly need to address if we want long term relief from the outbreaks. Scientifically, we know it is an allergic response because; all eczema sufferers have positive allergy test results, with 80% also having heightened ‘IgE’ activity, which is a type of allergic antibody in our system. So, what does this mean?? To put it simply it means that we need to remove the allergy causing substance. ​Step 1: Treating the allergic response; long term. Breastfeeding is well renown for supporting the emotional development of children and the significant protection against immune conditions, developmental problems, disease as well as baby eczema (1 & 2) and other allergic responses. Yes, absolutely. However, if you are breastfeeding and your child is susceptible to eczema you absolutely need to eradicate the common food allergens in your own diet so as to prevent the presence of these antigens in your breast milk. It’s no real surprise that studies show the main culprits to avoid are once again: Dairy milk, eggs, peanuts and to a smaller degree fish, soy, wheat and chocolate. Here’s the absolute kicker; if breastfeeding, maternal avoidance of these foods, results in a complete turnaround and resolution in the majority of baby eczema cases. No word of a lie, the research (3, 4, 5, 6) has been done and released and I’ve seen it myself in a clinic. For non-breastfed and older children, studies show the same food culprits to avoid; again- dairy milk, eggs and peanuts. So, if your baby has eczema, the quickest and most effective diagnosis and treatment is simply the elimination of these foods. It doesn’t have to be forever, some can be added back into your or your child’s diet after 6-12 months, others will be indefinite if the same allergic response is present. Short term; relief of a baby eczema rash. ​While the long term and underlying problems are being addressed, you can relieve the symptoms quite quickly and very effectively by following the next steps. Incorporate Essential Fatty Acids into your child’s diet if you are breastfeeding. The strongest and best results have been found to be from Omega 3 fatty acid stemming from Fish Oil 1000-3000 mg providing EPA and DHA daily. ​These have been found to be very significant in providing protection and relief from allergy development. The studies can be seen here and here. This contains a component called Glycyrrhetic- Acid that, applied directly on the skin, as well as digested has shown very significant and powerful anti-allergic and anti-inflammatory effects. ​Several other studies found the effects were very similar if not better than hydrocortisone cream, one finding the Licorice root group had a 93% of an improvement using this, over the 83% using cortisone. Another study found that 9 out of 12 patients that were unresponsive to other treatments noticed marked improvement in their symptoms. If you look here you’ll see two thirds of the test patients preferred this formula to the placebo and reported improved sleep, relief from itching with no side affects! Yay!! Your little one really will sleep like a baby! Step 4: Probiotics and more probiotics! Specifically, 5-10 million viable Lactobacillus and Bifidobacteria cells per day; either in your diet or your child’s diet (check with your doctor). The Last Step that I’m sure you already do is use mild detergents and soaps on skin and clothes and ensure to rinse well of course. And that’s it! You’ll see wonderful results pretty quickly if you follow all these steps and be sure to let me know when you do! 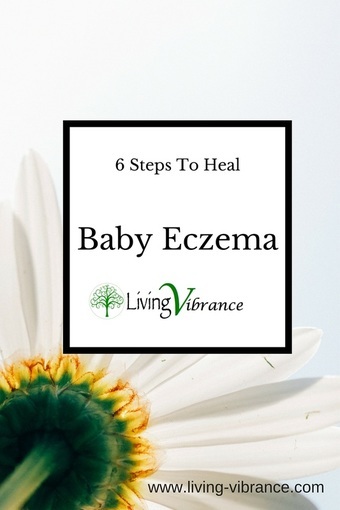 I hope this has brought you some relief and a new and helpful way to heal your baby’s eczema effectively. Please feel free to contact me if you have any questions at all and share this with your other mummy friends with the same problem, they’ll love you for it. Saarinen UM, Kajosaari M. Breastfeeding as prophylaxis against atopic disease: prospective follow-up study until 17 years old.The Lancet 1995;346:1065-1069. Isolauri E, Tahvanainen A, Peltola T, et al. Breast-feeding of allergic infants. Journal of Pediatrics 1999;134:27-32.